Technology is advancing at a fast pace with SuperComputers having processing speed of billions of instructions per second. It won’t be wrong to say that our lives today are really dependent on it. Computers have come as a boon for the mankind and have made communication, data sharing and collective working much easier. Starting from really basic configuration, the computers today have reached to unbelievable advanced levels. To add more to the vast and complex family of computers, the University of Toronto and IBM Corp. are on their mission to build Canada’s most powerful supercomputer. This complex and massive machine will be so vast that it would require its own individual building for storage and will be capable of doing 360 trillion calculations per second. The mammoth computer is expected to be in the top 20 fastest supercomputers in the world and also the largest outside the United States. This supercomputer will be able to store data which will be equal to that held by one million regular DVDs. In spite of all the exclusive functions of this huge machine, its cost would be less than Canadian $50 million ($47 million), which also includes construction and will take over five years to complete. If we talk about its computing power, Chris Pratt, strategic initiatives executive at IBM Canada, informed that it’s roughly equal to 30,000 to 40,000 home computers linked together. 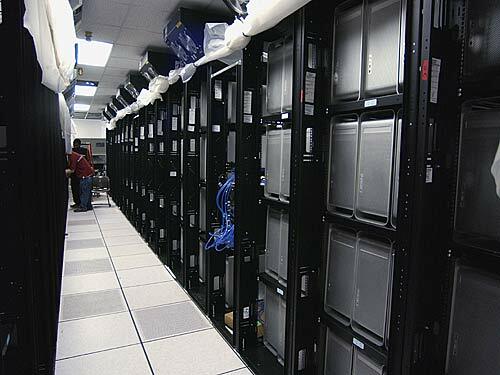 The supercomputer will come as big boon to the scientists at the University of Toronto and its associated Research hospitals. It will help to tackle problems related to many fields like aerospace and astrophysics and also climate change prediction and medical imaging. The system will also offer a lot of contribution in research projects where scientists are trying to solve the mystery of modern science as to why the matter has mass and what exactly constitutes the mass of universe. The funds for the project are being provided by the Canadian Foundation for Innovation in partnership with the province of Ontario and the University.